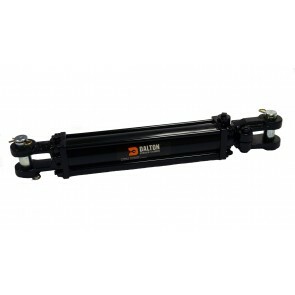 Find a large selection of 3000 PSI Tie-Rod Hydraulic Cylinders at Dalton Hydraulics at low prices with great service. We offer a large inventory of 2-5 bore x 4-48 stroke 3000 PSI Tie-Rod Cylinders made by Prince, Maverick by Dalton, Cross, and Dalton. This Tie-Rod Hydraulic Cylinder has a 3000 PSI operating pressure and is double acting. It is all steel welded. These are commonly used in agricultural and construction industries but also for applications such as waste & recycling, OEM manufacturing of trailers, and metal fabricating.